A few weeks ago I responded to a tweet from Cheribundi asking if any bloggers were interested in taking and blogging about their 7-Day Cherry Challenge. I’ve tried Cheribund in the past, so I already knew I liked their product. But, the key to really getting all the benefits of the cherry juice is making it a regular part of your daily routine, which I haven’t been good about in the past. 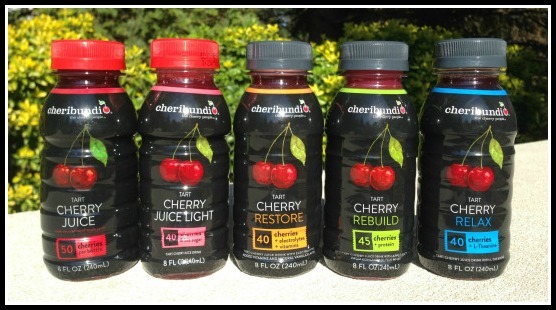 So, as an August Blog Ambassador for Cheribundi I’ll be taking the 7-day Cherry Challenge and sharing my experience with you! And don’t worry, there’s something in it for you! I’ll be back in a week to share my personal results of the challenge and my new friends at Cheribundi have offered to provide a case of product for a Live, Run, Grow reader to try out! 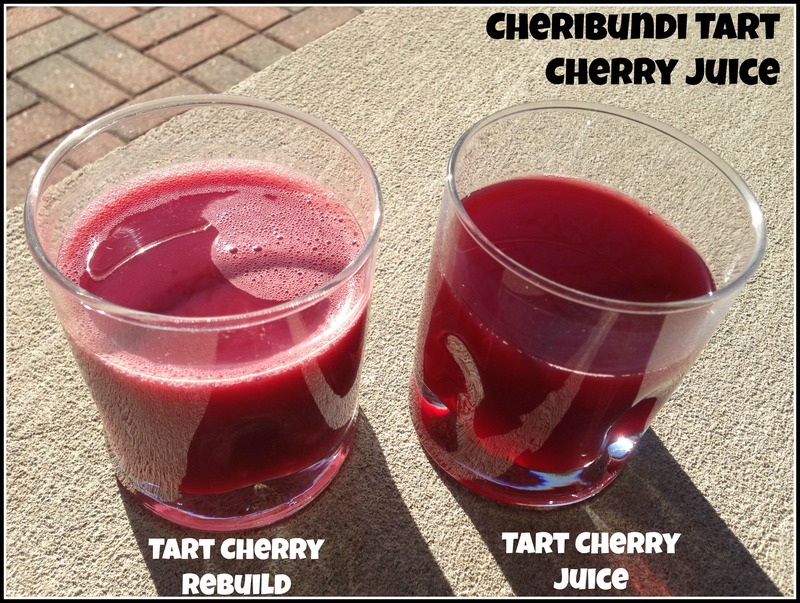 The Tart Cherry Juice, Light, Relax and Refresh all look like the sample above on the right, the only one that looks and tastes a little different is the Rebuild which is slightly thicker due to the added whey protein. All are very light and refreshing (especially if they’re nice and cold!). I’m looking forward to making Cheribundi a part of my daily routine and seeing how it effects my performance and recovery! During the 7-Day Challenge I’ll be sharing daily on my other social media platforms, so be sure to follow along, and check back in a week for my results and a giveaway! Have you tried cherry juice? 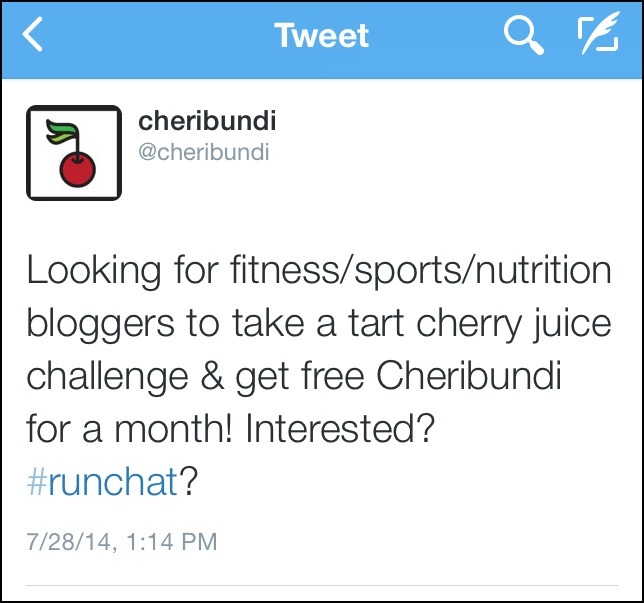 Disclaimer: I was given a free sample of Cheribundi to participate in the 7-Day Cherry Challenge. All opinions are 100% my own, I was under no obligation to give a positive review. How does it taste? Like you, I don’t like cherries but I like the flavor. Just wondering if it’s a really strong taste. It’s not a strong flavor at all! Honestly, I don’t like cherries and I really do like it a lot! If I didn’t have to pit cherries, I might eat them more often. I love dried cherries so much more though, I feel those have more flavor than regular cherries. You know what, I think I need to try “real” cherries again…I think in my head I picture all cherries to taste like those nasty syrupy maraschino cherries! Oooh, I’m interested in what you think. I’ve only tried the restore but I love it, especially after long runs. I’m curious about all the other flavors and how you feel.